Add this one line to your cold calling script for Sales Appointments to prevent objections and motivate prospects to move forward with you to the next stage. You know that awkward moment on an appointment call as you try to move forward from the Introduction to asking questions. Where you often get hesitation, excuses, and objections. You get these because you haven't given the prospect a reason to move forward with you. I’ve developed a technique that creates a smooth connection from your Introduction to the Questions Stage and its already proven to be successful for professional sellers and Tele-Appointment Callers. 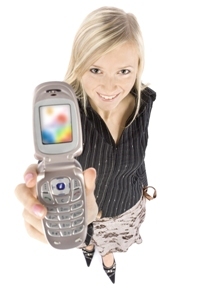 The training focuses on cold calls because they're the most difficult calls to make. The techniques are also effective on all other types of appointment calls, including: follow up calls, repeat customers, and responding to warm leads and incoming enquiries. In the first stage of your appointment call you’ve introduced yourself and your company. You’ve also given the prospect a potential benefit that they could gain by doing business with you. If you haven’t seen Stage 1 – The Introduction, you can take a look now if you like or follow the link later at the bottom of this page. Now, in Stage 2, you add the Motivator line. You’re going to give your prospect a reason why they should move with you to Stage 3 where you will ask them some fact finding questions. To create your motivating, connecting, line, start with a potential benefit that your products could deliver to the prospect if they qualify as a potential customer. Don’t worry if this is all new to you I’ll show you an example in a second that will make it very clear. So that I can see if you could gain this benefit let me ask you some questions. To make creating your first Motivating line easier use just one benefit. You'll soon pick up the technique and you can then use more benefits and more complicated reasons they should move forward with you. Here’s an example from the Direct Sales market place used by a company I worked with. The caller then goes into the qualifying questions about the size of the prospect’s current kitchen. Why do you think this technique works? The reason this sales training works so well is that without this line the prospect doesn’t really know why you are starting to ask them questions. You haven’t told them, so when you move from your Introduction straight to a question they often assume this is the start of the selling process and they’re not ready for that yet. When you add the Motivating line to your cold calling script they are clear on why you want to ask questions, and unless they have a real objection they will go with you to the Questioning Stage. You can use a benefit you used in your Introduction Stage as a motivator in your cold callinng script. This gives a theme throughout the call, and later on in the sales training pages on gaining agreement to a sales appointment you can use the same benefit again. So if in your Introduction you gave your reason for the call as: You might be able to save the prospect money on certain products. To see if I can save you money on the products you use let me ask you.... And then go straight into Stage 3 – The Qualifying Sales Questions. You’ve got a special sales offer and you’re making cold calls to make appointments with prospects that you think could benefit from the offer. To see if you qualify for ... details of the offer... I just need some information about your business. If, like me, you like to use ethical sales practices you will like this next sales training idea. Be honest with the prospect. 1. I don’t want to waste your time, so to quickly see if our services could be of benefit to you I can ask you a couple of questions and we will both know whether or not it’s worth our while meeting. 2. Our products are not suitable for everyone so with a few questions I can tell you if it’s worthwhile you continuing the call or going back to what you were doing before I disturbed you. I do not suggest that you just copy the examples on this page word for word into your sales appointment cold calling scripts. Take into account how formal or friendly you want to sound, the level of your buyers, the value of your products, and your own personality. Then reword and adapt the examples and add the ones that you like to your cold call scripts. If you like the sales training on this page and would like to see more, you can get the complete professional training course that I use with the teams I train and manage. Learn how to create a complete cold calling script for sales appointments using you own words by following an exercise program. Enjoy making cold calls with confidence by following the step by step instructions so you always know what to say and do at each stage of the call. Making Sales Appointments by Telephone will also give you the valuable skill of being able to train others, which is great for career development and growing a business. On this page we have looked at Stage 2, adding a Motivator to move prospects forward to Stage 3. To see sales training on the next stage click the link for Stage 3 below, or choose one of the other stages from the cold calling script stages. The Introduction - Learn to create an attention grabbing, all important, first few seconds of your appointment call with sales training on the Introduction Stage. This page where we looked at adding a motivating line to move prospects forward. And all of these stages are included, in detail, in the training course Making Sales Appointments by Telephone shown above. See more on creating motivator lines in our Direct Sales Section.